Monitor Refresh Rate. What is it? Monitor refresh rate is one of those terms that we see everywhere. Every monitor ad, sales page, and article talks about it. Refresh rate is one of the most important factors in buying a new monitor especially when buying one for gaming or watching video with a lot of action in it. So what exactly is refresh rate? Monitor refresh rate has also been known to be called vertical refresh rate or scan rate. It was very important when televisions and monitors used cathode ray tubes (those big, glass tubes in old TVs and monitors). Now, monitor refresh rate has risen to well-beyond the threshold where it is visible to the human eye. However, it remains important. Particularly with gaming. For the layman, monitor refresh rate is how many times per second a monitor can be updated, or refreshed. The higher the refresh rate, the less flicker or stutter is visible to the human eye. Old movie projectors would show twenty-four frames per second, but had a refresh rate sometimes three or four times that. This occurred because a high-speed shutter sat in front of the projector lamp and would open and close several times before the next frame was moved into place. These “artificial” frames were still considered part of the frame rate, despite never displaying movement between frames. Nowadays monitor refresh rates are a mark of superior quality. Especially when it comes to 4K or UHD (ultra high definition) monitors and gaming monitors. Just take a look at the assortment of 144Hz monitors on Amazon.com. 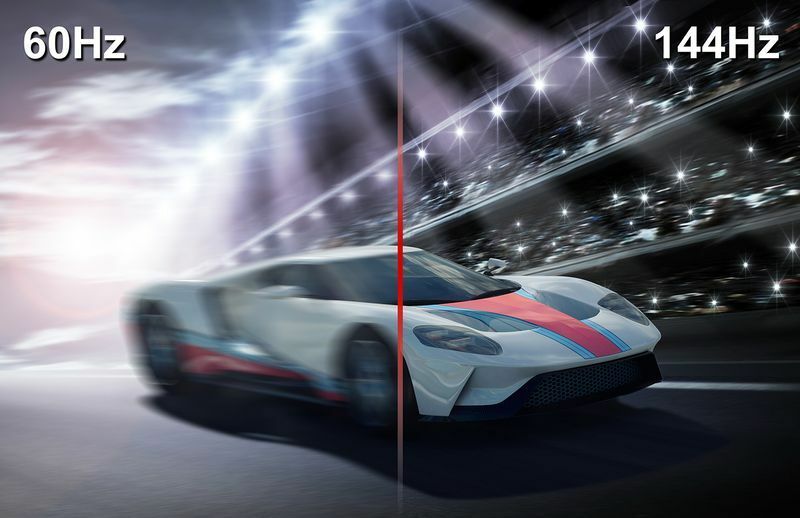 Motion blur is a problem often associated with poor refresh rate. But that may not be as accurate as you think. A monitor simply displays a series of static images, or frames, and the movement is an illusion based upon how far an object travels between frames. This causes your brain to induce a degree of motion blur because it is trying to anticipate where something in motion is going to be. A couple things can be done to remove motion blur. The first is creating new frames that are injected into the video stream. These interpolation frames are a mix of the frame just shown and the frame to be shown next. Another way that is used to remove perceived motion blur is turning off some of the backlight, or black frame insertion. This inserts a blank screen between the video frames which gives the brain and eye a break before the next frame is displayed. The minimum refresh rate required for either of these is 120Hz, or 120 displayed frames per second. Be vigilant, however. Some manufacturers include interpolation, or their black frame insertion, into the advertised refresh rate of their monitors. This is simply a marketing gimmick. Other manufacturers don’t even list an advertised refresh rate. Generally, a gaming monitor’s refresh rate is always listed. It is one of the primary features competitive players desire in a gaming monitor. 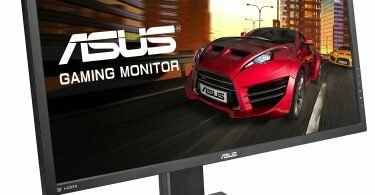 Two new technologies in gaming monitors offer a variable monitor refresh rate. AMD has what it calls FreeSync and nVidia offers G-Sync. These technologies do allow the display to talk to the graphics card and find out the current frame rate and then match that refresh rate on the monitor. Games are often not displayed at a stable frame rate. This is due to many factors including GPU power, CPU power, and RAM. Having a variable monitor refresh rate is ideal so it is matched to the computer hardware. Plus, it reduces screen artifacts like screen tearing and desync. Those are very noticeable when gaming and can have a serious negative impact on the gaming experience. Newer monitors have monitor refresh rates of 144Hz and even 240Hz. That means the monitor is able to display 144 or 240 frames per second. If you have an ultra-powerful gaming rig and graphics card, your machine may be able to push out frames faster than 60 per second, or 60Hz. The 144Hz monitors are currently some of the best as they have the ability to display the most frames per second. Coupled with a variable monitor refresh rate technology like FreeSync or G-Sync, it makes for an optimal gaming experience. Here’s a great explanation of refresh rates (frame rate) as they relate to not just monitors, but televisions and video in general. Shout out to Channel 8 for a great video! What is Frame Rate & Why Does it Matter?